The heart, for which no rescue was seen, has just been given its operation date!!! Look how happy Emil is :))) As quickly as on 20th June, the first stage of treatment will take place! There is a lot of work before us to raise the remaining amount and transfer the funds to the clinic. But we believe we will make it! Because of the fact that Emil needs to be in the clinic a few days earlier, the deadline of the fundraising is shortened. The fight goes on. You....on the other side of the screen – remember not to give up! Never! 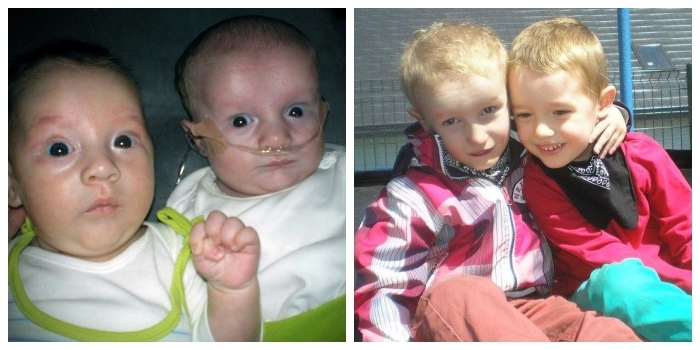 When doctors still called them Twin A and B, for parents they were Emil and Borys. Mum knew that Borys always showed himself as the first one, as if he was trying to cover Emil, or perhaps protect him? Only in the 30th week of pregnancy it appeared that the twins differed – Twin A, Emil, was 300 grams smaller and had an ill heart. 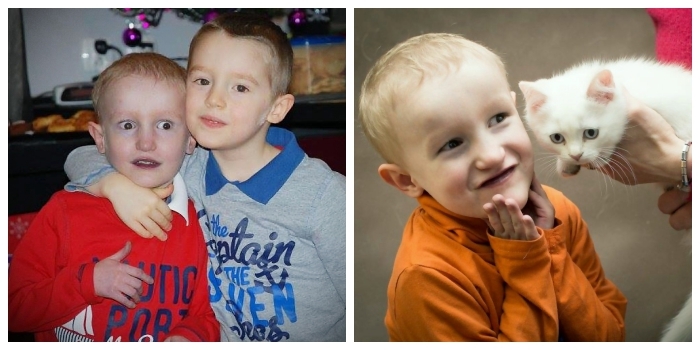 When the boys were born on 11 April 2011, it turned out that Emil suffers from a congenital heart defect, with the characteristics of Tetralogy of Fallot with pulmonary valve atresia, and with additional systemic-to-pulmonary collaterals and hypoplasia of pulmonary arteries. After the initial breakdown, parents thought “it will be good, nowadays they operate heart defects”. It did not cross their minds that some heart defects are so complex that nobody will take a risk and operate on them. At that time they did not know, that this would be true in case of Emil. Before, everything I knew about heart, was as much as any ordinary person – how many ventricles and how many atria it has” – says Emil's mum. Doctors, one by one, were making us aware how complicated this defect was and how life-threatening it is. Emil's vessels do not grow with him so doctors were inserting stent after stent in order to make a better blood flow and better saturations. Each stent helps for half a year, maybe one year. In fact that was the only known way to lengthen Emil's life in hope that somebody will think something new up. Italy – unfortunately, we will not take it. Austria – the risk is too high. Great Britain – they were surprised that Polish doctors risked the last catheterization. And have you tried the USA? - parents heard. Yes, they have. First, when Emil was lying half dead after sepsis, under oxygen. Professor Hanley from Stanford Children's Hospital wanted to see Emil before he was 9 months old. Lack of possibilities of transport in such health condition, huge price and Emil's life was hanging by a thread. It was then saved by Polish doctors and the next response from the USA dispelled parents' illusions – Emil's condition was so much worse that they did not see the possibility to operate, they wrote they were sorry, they couldn't do anything. What was left was to implant other stents and wait. At some moment the only proposed solution was transplanting heart and lungs. But... Emil must be adult, and nobody has even given him a chance to live till his First Communion. Emil has not eaten blueberries, he is not cold either. It is visible that he is ill, especially, when he is next to his twin brother, Emil looks like his brother's shadow, as if he was disappearing. So far, nobody has said it would be good, that if nothing is done, it will work out somehow. They did not, because, if nothing is done, Emil will die. He is under oxygen again, his saturations do not exceed 75% and hematoctit is so high the device for checking INR has no scale (norm is 40 and the scale 55) Parents could not watch that the life of their son is fading. How many times can you tread the same paths? Until you succeed. Especially, when your child's life is at stake. In Emil's case three times. And there may be no other time. On December 7th, 2015 a chance appeared for Emil to live! Hope emerged for an operation in the USA...the price is over 1,5mln dollars: (Emil's results are good enough for one medical centre to operate and save his life). The operation would be in 2 or 3 stages with 3-6 months of break between the stages. The first stage should be done within 6-9 months from now, this time is optimal as the situation of kids with this defect is changing very quickly – collaterals may disappear or narrow. The message about the possibility of operation was the best news we had ever got in our life. “After so many refusals it was hard to believe that finally somebody decided to operate”. - says Emil's mum. “This is the only opportunity to save Emil's life. We have got Polish doctors' blessing, which is extremely important to us, but this astronomical amount... all the time I have got doubts if we are not biting off more than we can chew. I have written to "all saints" I reckon: President of National Health Fund, Lesser Poland Consultant in Cardiac Surgery, Health Ministry with the question what we should do. We do not have a signature of a proper doctor in the application form for reimbursement for National Health Fund. Why? This we don't know, perhaps there is a limited number of children they can sign for. Maybe the amount for Emil is so huge that several kids may be saved for it and it is more "profitable"? We don't know... We only know we won't give up. The risk is very high, but the chances for Emil to live without it are not higher at all. We do not operate only on very rare congenital heart defects, which only few medical centres in the world do – in Europe and the United States” - emphasises Professor Maruszewski. “A good example is hypoplasia of pulmonary arteries. This defect is only operated by Professor Adriano Carotti in a paediatric hospital in the area of Vatican and by Professor Frank L. Hanley from Lucile Packard Children's Hospital in Stanford. But even there such operations are done only when they are are not too risky" – this is a statement of one of the authorities in Polish cardiac surgery. Now you can understand why Emil's parents only chance is a fight. Never before had we raised any money, even 1% of tax, because there were no chances for Emil's treatment. And now one operation is such an astronomical cost. In order to set a term of admittance to hospital, we need to pay in 800 thousand dollars, and before the operation, the rest of the amount. Not talking about the connected costs such as travel, additional medical tests, like echo, catheterization, stay in the USA, etc.,. Finally, first time we have felt that we are not alone, that despite such huge risk somebody understood our despair and decided to give us a helping hand. But we need plenty of such helping hands to pay for this operation – without that we won't go anywhere and we'll wait with the invitation in our hand. 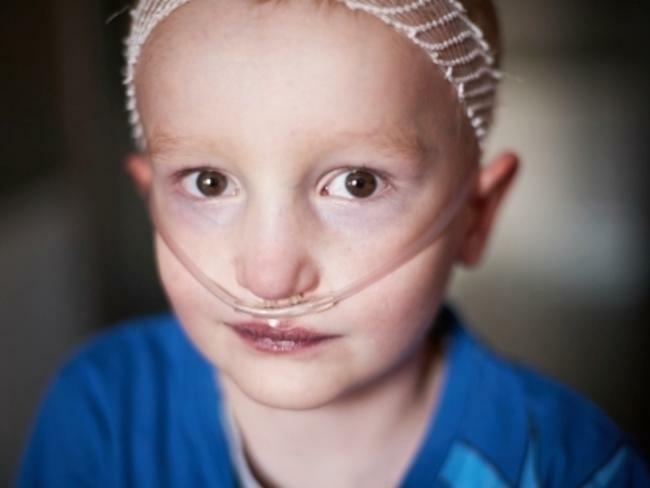 Hope for Emil has deep roots – in the hearts of his parents.. It also has a 7-digit price, which an ordinary person isn't able to get throughout their entire life. And we don't have entire life – we have a few months to send our child for the operation. They won't wait for him forever. Now the operation is possible, because the vessels have grown slightly in one place, but any time his heart might just stop beating. 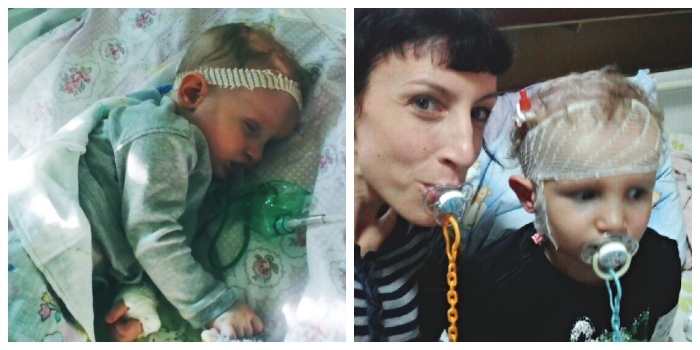 This is the worst for us – says Kasia, mum. Emil laughs, plays but actually in 10 minutes he may die. We have to be alert, since his first day we have been living with the phrase at the back of our head "he won't live", but he does. He is fighting. And now he has the chance for which we have been waiting for over 4 years, which may not repeat. So many doctors have refused treatment due to too high risk. We believe, however, that you won't refuse and you will help us raise this sum, without which we won't save our child. Probably many people will think that this is not feasible, that Emil's parents are reaching too high, asking for too much. Think about your children – wouldn't you do everything for them even though everybody doubted it would be successful? The cost is unimaginable, but if not for this operation, the only thing is to wait for the worst. For the emptiness after the life that could have been saved. That is why, we are here – because we can still do something, if a sufficient number of us comes. Do you have anything better to do today than saving a 5-year-old boy's life? News from 31st March 2016: We managed to raise the deposit till the end of March! Thank you a lot!Straight away we wrote to the Clinic in the USA, in order to confirm the earlier arrangements and qualification – the amont is huge, we need to be sure that everything is worked out. If we manage to raise the remaining amonut, we count that the clinic will be open to negociate the final amount and an earlier date of beginning of treatment than September, which we are now anticipating. 8 March 2016: Urgent! We did not raise the deposit amount till the end of February! (We are not giving up though, there is still a chance for an operation in September ifwe raise the amount fo deposit till the end of March . And if not? ...We even do not want to think about it! With the worst scenario, the level of oxygen in Emil's blood will go so low that nothing will be possible to be done. - Deposit is $ 800 thousand. - says Kasia, Emil's mum. - 31st March is my nightmare. A real line of death of my son. Emil had a twin brother, Borys. He has a woderful father, who cannot live without him. We have walked all the paths so that Emil can live. Now, I need your help.